Pollett’s cove is just such a scenic place and when the wild horses are loose it makes for an even cooler experience! This is a must hike when you’re in Cape Breton. Whether you plan to make it a day hike (a long one at that ) or you plan to make it an overnighter and camp - you’ll have an amazing trip either way!! We planned our hike for a warm weekend in June; packed our camping gear and food and set off for the trail. The trailhead is nestled in behind Gampo-Abbey, a Buddhist monastery located in near Red River in Pleasant Bay. It’s not too difficult to find this place but it may feel like you’re driving off into the vast unknown or as I felt, the ocean! I have a slight fear of driving on dirt roads so near the ocean. When we started the hike it was sunny with a good crisp breeze. That breeze quickly left us as we climbed, rather ascended the first mountain. It hit me like a load of bricks! I had quite a bit of gear on my back and the heat was beating down through the trees. And the mountain just seemed to go on forever- I mean forever. I think we took a break halfway up and I was sure we had made it up, past the worst section. Nope! I was wrong. After that we came down the mountainside and continued onward. There’s a large brook that you have to cross and you need to be extra careful if there’s been a lot of rain. There’s no bridge, so you have to wade through the water. It was June and the water wasn’t iced over so we decided to save our boots and walked barefoot across. We had to throw our boots over and used our poles to help balance in the running water. We put on our boots and got back on the trail. It’s another two mountains to cross from there and at times it really seemed endless. The trail winds around the coast which allows for these wonderful scenic views. The woods was alive with life; newly greened ferns, mosses and other vegetation lined the forest floor. The trees were all leafed out and gave us some shelter from the blistering sun. We finally arrived and set up camp. Making dinner next to the ocean was pretty epic. The winds were whipping pretty strong and we were super happy that we had packed our Trangia stove system. 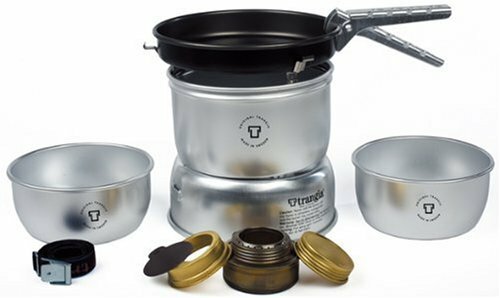 If you're a hiker, adventure seeker or just plain love to camp - the Trangia stove system is a necessity!! I absolutely love the sleek Scandinavian design, not to mention that it's super packable and beyond-easy to use. The scenery here is so different from other places on the island. And the wild horses were down on the beach. I tried to get close to get a photo but they kept moving. This place can be busy in the peak season, so if you want to avoid crowds we suggest going in the shoulder season (May or September - October). It’s still warm enough for both hiking and camping. The hike is 16 km round trip so if you plan to do a day hike give yourself plenty of time and leave early to avoid the brunt of the heat. Pack lots of water and some snacks to keep you sane. And don’t forget to bring your camera!!! Directions: Follow the Cabot Trail until Pleasant Bay. Turn onto Red River road, and follow all the way until the end. Go past the Buddhist monastery. The parking area is at the end of the dirt road and the trail head starts right there. The Trangia 27-3 stove kit is amazing. As mentioned before it's super packable, and you can see from the image below what's included - two pots and a frying pan and it all packs away into one small unit. The stove uses alcohol spirits to burn - which is very safe, and it's extremely easy to put out the flame when you're finished cooking to preserve your fuel. There's also a built-in wind protection for the flame so when you're nearby windy zones you won't have cold dinner. We lug this stove wherever we go and we're so glad to have invested in it! !